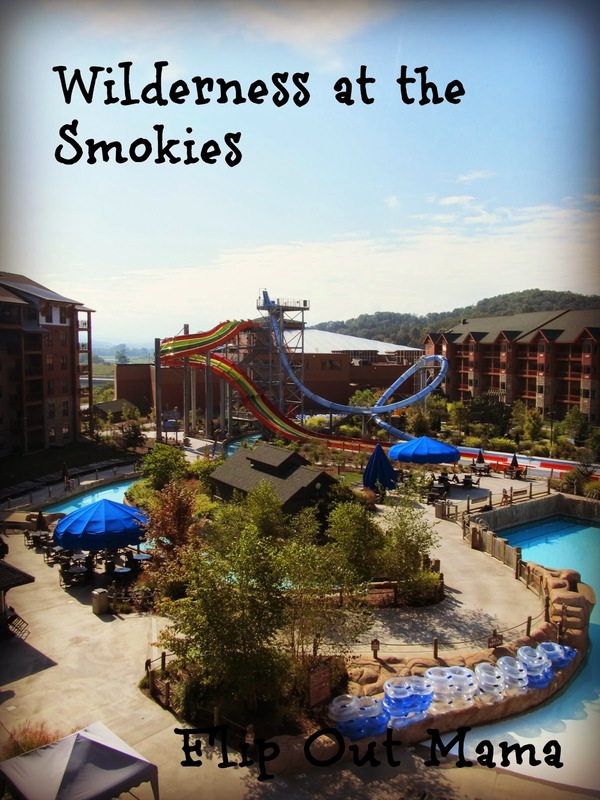 Disclosure: Our family was given a two nights complimentary stay at Wilderness at the Smokies in exchange for our honest review. All opinions are 100% our own. Our family recently concluded our Smoky Mountain vacation with two wonderful nights at Wilderness at the Smokies Resort in Sevierville,TN, which is just north of Pigeon Forge and Gatlinburg. Tater, our oldest, has been eyeing this place for years, since we drive past it every time we head to the Smokies. 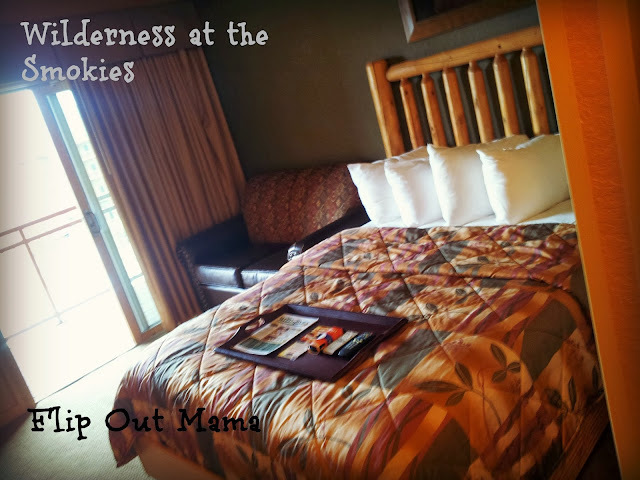 We actually didn't tell the boys that we were headed to Wilderness, we told them we were headed home, and then we surprised them when we got there by telling them we were really spending two extra nights on vacation. Needless to say, they were pumped! 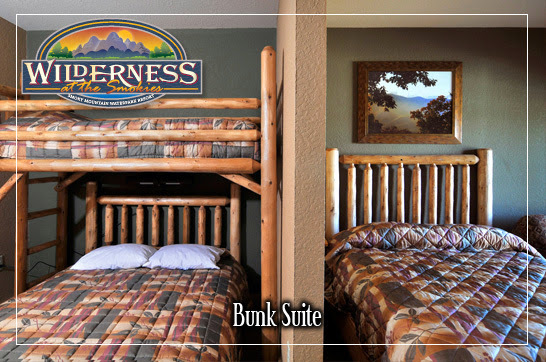 Our room was an awesome bunk suite located in River Lodge. 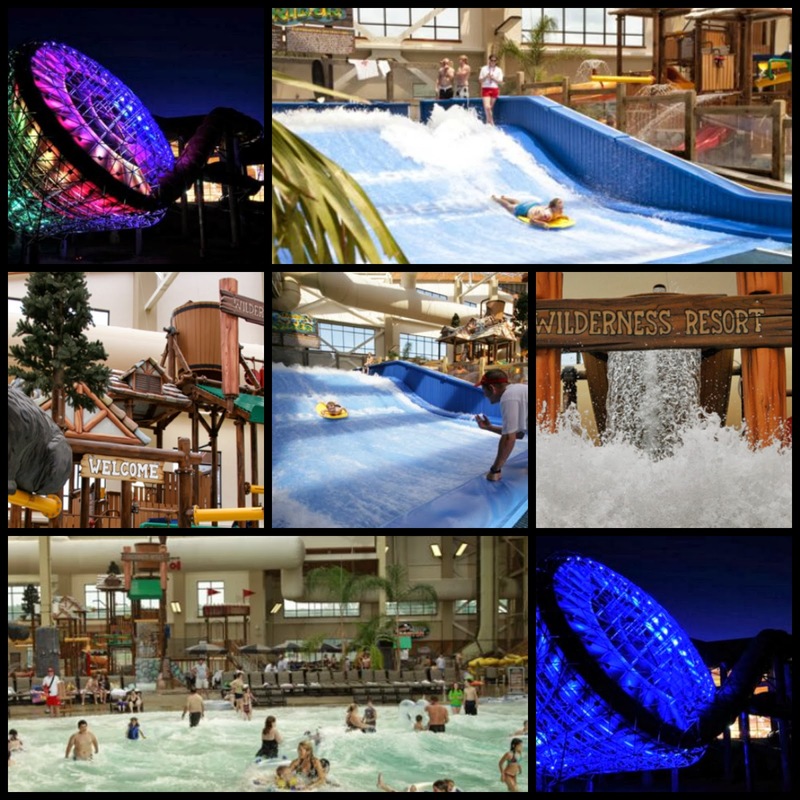 (River Lodge is the hotel connected to the Wild Waterdome Indoor Waterpark, as well as Lake Wilderness Outdoor Water Park. Salamander Springs Outdoor Waterpark is located across the street at Stone Hill Lodge.) This was a perfect room for us! Our room included a queen bed, and a twin/queen bunk bed, separated by a wall. It also contained a pull out twin sleeper sofa as well. There was plenty of room for the four of us in this room, which was great! It was wonderful to be able to spread out a little bit! Tater took the top bunk without hesitation, and it was so cute to see our sweet little Bean in the queen bed all by himself! The room also featured a microwave and fridge, and a small table and chairs. 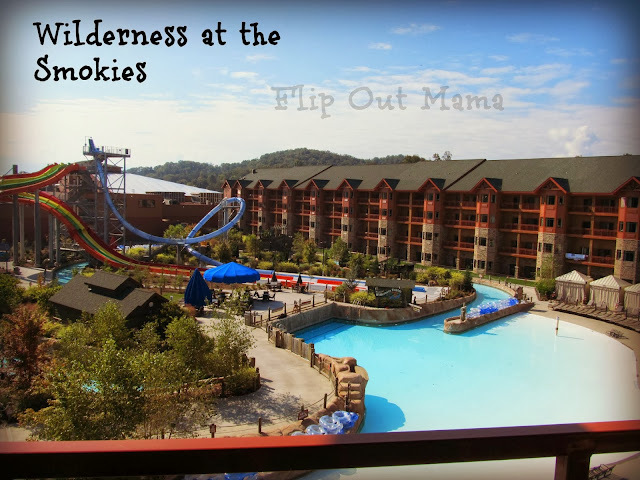 The best part for us was the private balcony which featured not only views of the awesome Lake Wilderness Outdoor Waterpark but also a few beautiful mountain views as well. 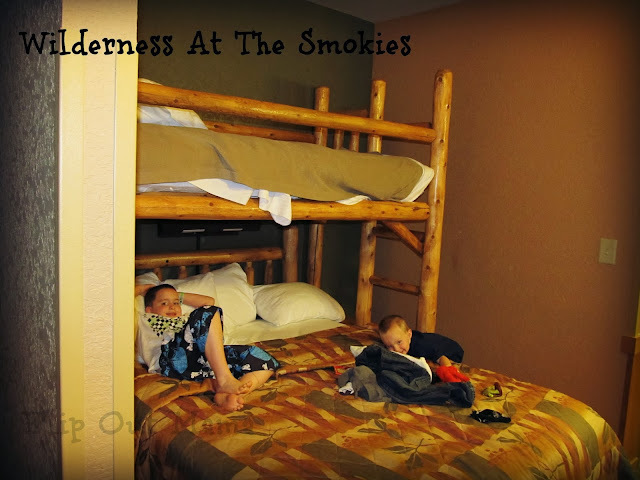 The rooms at Wilderness at the Smokies are decorated really beautifully, sort of like a rustic cabin, but still very modern as well. I also loved that there were two flat screen tv's in the room so that we could watch our own thing while the boys watch their own thing! We did have an issue with one of the tv's in our room, but maintenance was able to switch it out for us and get us another one fast! We loved the room, I could have stayed there forever! However, we had MUCH more to do than just hang out in the room the entire time! Our first stop was, where else? The indoor waterpark! It really is an amazing place, there isn't another way to describe it! If you've never been somewhere like this before, you're in for a real treat, and maybe a bit of a shock. The entire indoor waterpark is just incredibly huge and a bit overwhelming, but in a good way! This place is awesome! We had so much fun, I honestly could have stayed a few more days! 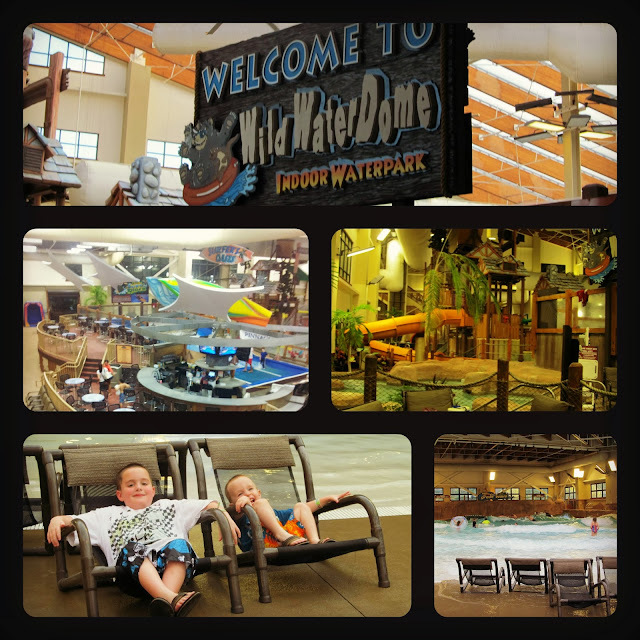 There is just so much to do in the Wild Waterdome section, not to mention anywhere else! The big boys (Dad and Tater) had a great time in the wave pool, they stayed there the majority of the time! I love the wave pool better than anything else, but my little guy was a bit intimidated by it, so we hung out in the kiddie area most of the time. The water there is only around a foot deep, and it has a seesaw, sprinklers, swings, and slides. It's perfect for little ones! My big boys had more fun than everyone else, though, no question about it! They rode the Storm Chaser, which is the huge funnel ride that you can see from out on the highway! I would have had a heart attack on that thing! My hubby said that Tater LOOKED like he was going to have a heart attack, but by the time he climbed off the raft, he was begging to go back again! Tater even somehow got me on the Runaway Canyon waterslide raft ride, I don't even know how that happened, but I thought I was going to die! I did have fun though, but I spent a few minutes in complete terror! (Mom does NOT like roller coasters, scary rides, waterslides, or anything like that!) I did survive though, and I actually rode the thing twice! It was pretty fun, once I faced my fears! There is also a huge indoor pool which is three feet deep all the way around, and it has basketball goals inside it. The boys had a great time in there, and I had to drag them out of there when it was time to leave! However, I have to say that the biggest hit of our entire time at the Wild Waterdome was the Smokies Surf Rider! This body surfing ride was their highlight of the trip! My hubs only rode the Surf Rider once, and he really took a tumble! He didn't do it again, I think he was a little bit embarrassed! However, Mr. Tater LOVED the Surf Rider and he just kept on, probably ten or fifteen times! We have a hilarious video of one of his attempts, I will upload it in a little bit! We had a great dinner at the Thirsty Miner restaurant, located on the second floor of the River Lodge. How convenient is it that you can eat a real, sit down meal without even leaving your hotel! Love it! The Thirsty Miner has a great deal too, Kids Eat Free with a paying adult meal purchase. We stayed during the week, so our kiddos got a free kid's meal, but if you stay on the weekend, you can get the buffet, and kids get a free buffet too. The food at the Thirsty Miner was really good, and with the kids eat free deal it was cheaper for us than going out to dinner. Plus, we didn't have to leave the hotel, which is definitely worth it! The Thirsty Miner is just one of tons of restaurants or snack bars on site, so you can always get something to eat or drink no matter where you are! It would be hard for me to say whether we spent most of our time at the Wild Waterdome or in the all new Adventure Forest dry play area. I think it's probably pretty close to even! My boys (all three of them!) are arcade lovers, so we spent a ton of time there! The arcade is not my favorite thing, but I still had a great time there, and Bean was absolutely thrilled that his daddy won a giant Adventure Forest ball for him from one of the machines! There are so many things to do in the Adventure Forest area, not just the arcade! There's a bowling alley, a snack bar, black light mini golf, a laser maze, laser tag, a rock climbing wall, a huge ropes course, and more! Seriously, enough to keep you and your kids busy for days! I'd say our favorite part was Cubs Climbing Den, which is like a McDonald's Play Land on steroids! It was absolutely huge, and even though Bean took a tumble and ended up with a bloody nose, he was begging to go back in as soon as we patched him up! We had a ton of fun at the Adventure Forest! You can buy credits for each attraction separate, but I would highly recommend buying an "all day" pass or an "all stay" pass, so you can play as much as you want! It's really a great deal! See this beautiful view? This is exactly what we saw from our hotel room! Lake Wilderness Outdoor Waterpark looks like SO much fun! I didn't get the chance to go over to Salamander Springs and check out that Waterpark, but the pictures we saw look amazing! 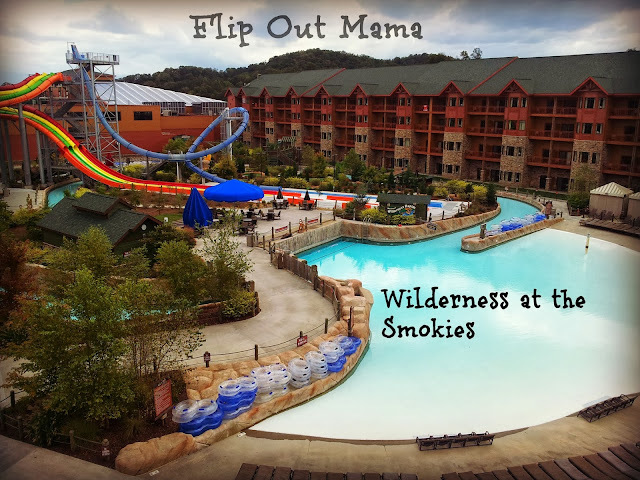 That's one thing I can say for certain about Wilderness at the Smokies- what you see is what you get. The pictures on the website really do truly represent the hotel, which is not always the case. It's nice to know that with this resort, you can trust the website to be a guide for you in planning your trip. Don't forget KIDS EAT FREE at the Thirsty Miner restaurant! It's a great deal! Make sure to check out the "All Stay" pass for Adventure Forest, another great deal! Towel cards are also provided for your towels at the waterpark. Simply exchange your card for a towel, then when you're done, exchange your towel for a card.. Easy as that! Lifejackets and tubes are provided in the waterpark, so don't worry about those. Arrive before check in? No worries! You can preregister for your room and start playing in the waterpark right away! Same goes for check out: you can check out of your room and spend the rest of the day in the waterpark. This is a great way to get extra time to play! Don't forget all the extra amenities on site: the gift shop, candy shop, paint your own pottery studio, fitness center, laundry room and more! Spend some time just exploring the hotel, there really is so much to see! You can rent Redbox movies in the lobby of both Stone Hill Lodge and River Lodge if you want something special to watch on your stay! 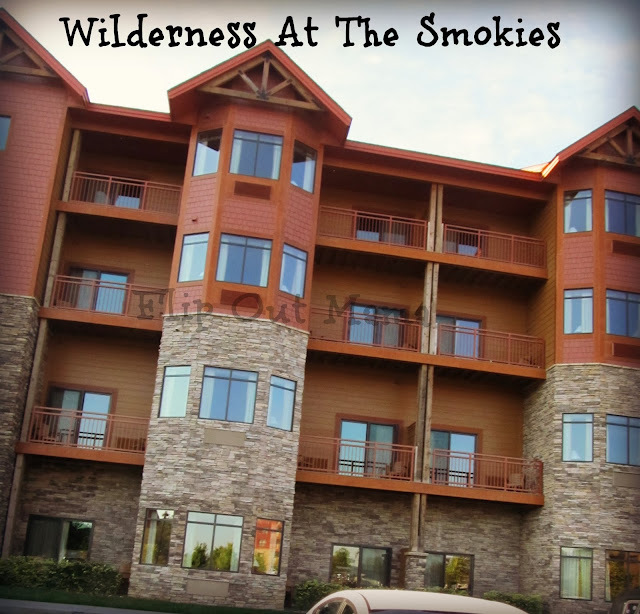 Make sure to follow Wilderness at the Smokies on Twitter and Facebook to stay up to date with news, deals and promotions before you book your stay! 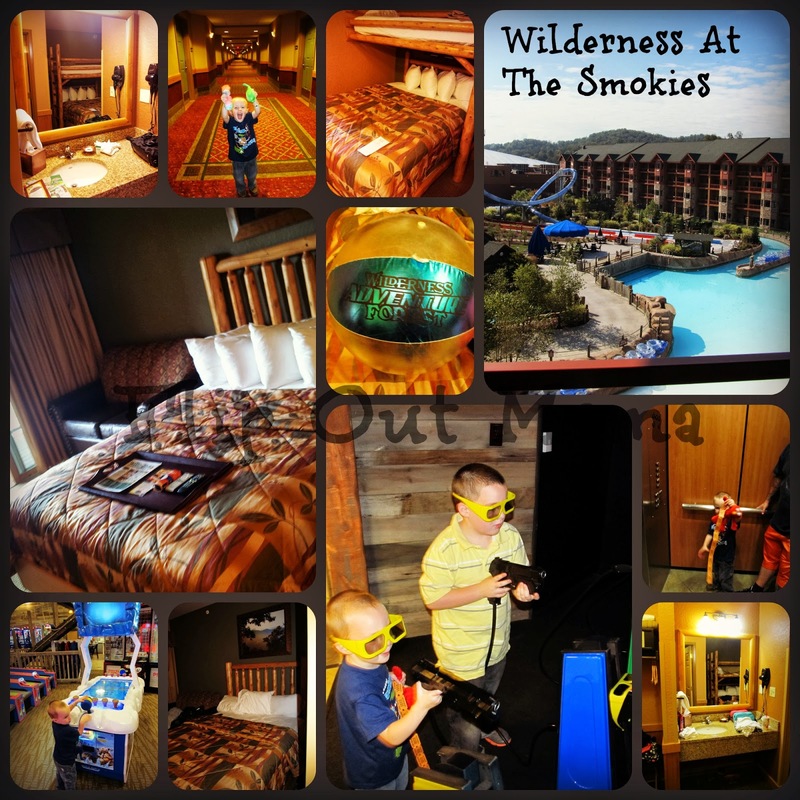 Thank you to the great folks at Wilderness at the Smokies for hosting us and helping us to make some great memories! We'll definitely be back!